After finding out that Zooey Deschanel is pregnant with her first child, I am probably the most excited I have been about a celebrity pregnancy since Beyonce gave birth to Blue Ivy. As a huge fan of New Girl, I already know that Deschanel is going to make a spectacular mother to whatever well-dressed, blue-eyed baby she inevitably brings into this world, and in a recent interview with E! News, her co-star, Jake Johnson, agrees. 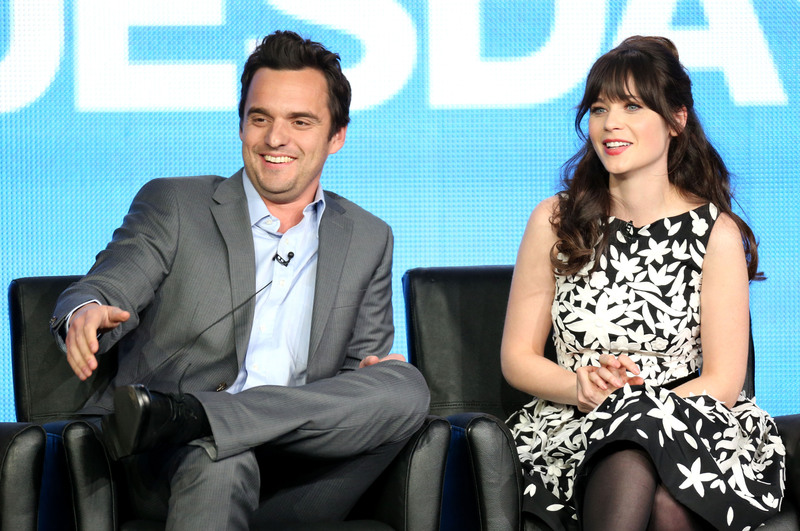 Even more important, though, is the fact that Johnson answers a question I've been wondering about since I first heard Deschanel's big news: Will Jess be pregnant on New Girl , too? According to Johnson, it's not happening. "No, Jess is not going to have a baby," Johnson said. "It'd be a weird Three Men and a Baby vibe... just imagine how weird Winston would be around that baby!" Even worse, could you imagine Schmidt with a baby around? I can't decide if he'd be more likely to throw himself into taking him or her to weekly baby yoga classes and buying Chanel onesies, or if he'd be utterly horrified by the way a baby crying late into the night totally salted his game... and wrecked his beauty sleep. And he most definitely wouldn't deign to change a diaper. And as far as Johnson's reaction to the news goes? He's incredibly happy for Deschanel, and it's an adorable thing. "I'm excited for her. We're really excited. She and [boyfriend Jacob Pechenik] are excited and I couldn't be happier for Zooey. She's a good friend and this is an awesome thing in her life. I think she's going to be a great mom." Unfortunately, Johnson didn't add anything about the likelihood of his character, Nick, getting back together with Jess, but that's OK. I'm still holding out hope!